Eight out of 10 Americans owe some form of debt. So there is a good chance a listener or someone you know has debt and would like to get out of it. From excessive credit card bills and mounting student loans to hefty car payments and big mortgages, debt can be crippling – and not just financially. Debt takes a toll on you in many ways. It hurts your ability to save, invest and create a better life. It impacts your physical, mental and emotional health. Too much debt even spoils relationships, leading to arguments about money and divorce. Whether you recently got into debt due to circumstances beyond your control, or your own poor choices have kept you in debt for as long as you can remember, know this: Debt does not have to remain a way of life. Improving your credit can help you pay down your debt quicker. Joining us for our discussion on Improving Your Credit Is Lynnette Khalfani-Cox who is on the phone from her Northern NJ office. 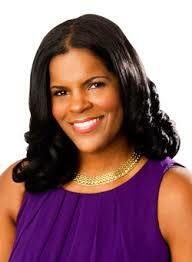 Lynnette Khalfani-Cox is better known as the money coach and is a nationally recognized expert on debt and credit. She is a frequent radio, television and print contributor. 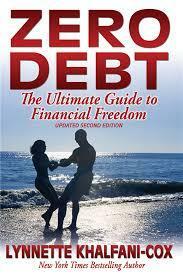 Her latest book is Zero Debt: The Ultimate Guide To Financial Freedom 3rd edition.